This entry was posted on May 12, 2015 at 11:55 am	and is filed under Christian, christian living, Christianity, church of scotland, Daily devotional, Devotions, end times, Jesus, pentecostal, revival, the remnant, the state of the church, theology. Tagged: The remnant. You can follow any responses to this entry through the RSS 2.0 feed. You can leave a response, or trackback from your own site. Amen brother! You’ve put the words to what I have been feeling in my heart and spirit for a long time! I sigh a lot, sometimes tears, but a lot of sighing!! I’ve also been feeling very sorrowful and sad. Sad for what I see going on in the world and in the “churches”… I have recently seen some of the people’s Facebook pages that I knew in my (30 years ago) church, at the time.. I was very shocked and saddened by the things I seen as their likes sections. For instance, the book, Jesus Calling, which is total New Age, and another jesus. Several had clicked on they liked Joel Osteen, T. Jake’s, etc., I was saddened they seemed to be either in the same place or had regressed spiritually. I thought, after all these years, am I the only one who recognizes this false junk? Am I the only one that has learned anything? I’m not trying to pat myself on the back, but to acknowledge how God has brought me out of all of that junk, and away from the likes of false teachers, preachers, and the like! Praise be to God. But, it kinda put things in perspective. I may have not been in a “church”, like the rest of them all these years, but then, I now realized why! God took me out so that I wouldn’t be following the crowd so to speak, and even though it is extremity lonely at times, I am so very grateful. I also am very fearful that I may stumble, and be a castaway, as Paul said. 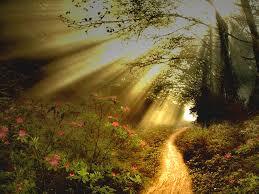 I have to pray and trust God to keep me on that very narrow path!!! I’m, not perfect, and have a long way to go, but I am so thankful for the Lord pulling me out of “church”, and for showing me things, that so many are just not seeing! Thanks for the very true and wonderful, fearful article!!!! Spot on brother!!! I have one single thought about this and it is very disturbing, There is no mention of GRACE only fear of not being saved / a remnant. Because i am not a follower of Tozer my comment was based solely on the above article as a whole, In response to your suggestion that i believe 90% of the population that claim to be saved will be, i made no such claim, my comment was perhaps to brief and i will clarify by saying what i found disturbing was the balance of the content specifically the impression that one is to be striving or some how not worthy of the Lords free gift of Grace, which is where true “” tranquility”” is found, it is the faith in our salvation by his Grace and not of ourselves, as our faith is the only way to please God. I am in agreement with your understanding of Grace, Like the Word says his Grace is sufficient and complete, Our faith grows from hearing the Word of God. If there were to be a wild card so to speak God will have mercy on whom he chooses.